In a borough renowned for its multi-culturalism (represent, Queens! ), Astoria is home to a particularly diverse mix of cultures. Astorians from the Balkans, Bangladesh, Brazil, Colombia, Czech Republic/Slovakia, Egypt, Greece, Indonesia, Italy, Japan, Lebanon, Mexico, and even our southerly neighboring borough (that’s you, Brooklyn) rub shoulders every day in the ‘hood. And you know what that means: excellent eating. Special thanks are due to Mark Rinaldi, Sue Yacka, Tina Corrado, and Dalena Tonkin—fellow Astorians with far more Italian food knowledge than me, who should be regarded as co-authors of this post. I am also grateful to Meg Cotner, who supplied most of the photos here and refined this piece. 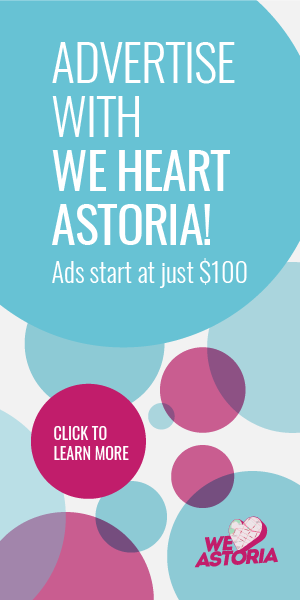 Astoria is synonymous with its famously large Greek community, but the neighborhood has long been a diverse mix of immigrant cultures. 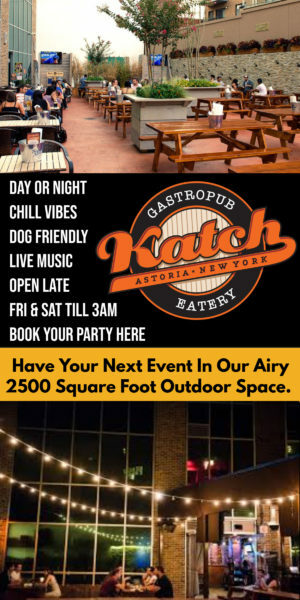 Since about 1920, Astoria has been home to sizable Irish and Italian communities, and in recent decades it has evolved into a miniature melting pot of South American, Middle Eastern, Asian, and European cultures. Today little in the way of Irish food remains, but Italian food culture is still alive and well in Astoria. The neighborhood has many excellent pizza makers, pasta makers, bakeries, and delis stocked with specialty Italian goods—if you know where to look. 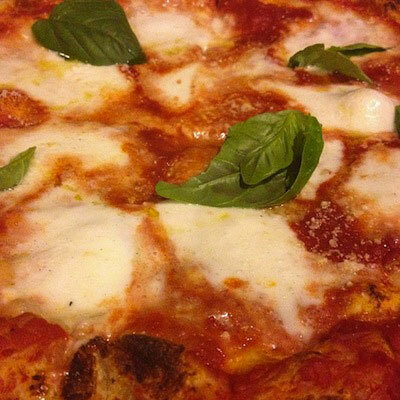 Pizza Margherita at Basil Brick Oven Pizza. Several very good Neapolitan pizza makers have set up shop in Astoria, but (for my money) Basil Brick Oven remains the best of the lot. Chef Daniele Barbos (a native of the Piemonte/Liguria region of Italy) and his wood-burning brick oven turn out classic Neapolitan pizzas with inventive toppings—all made with care and exceptionally fine ingredients. 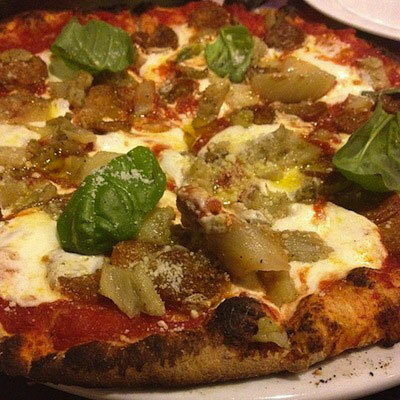 Salsiccia pizza from Basil Brick Oven Pizza. 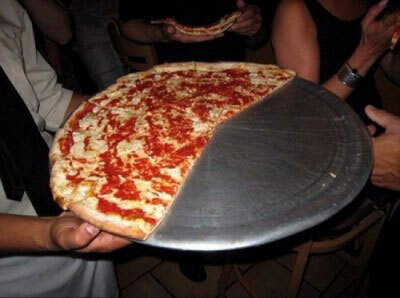 I’m a fan of the simpler, vegetable-rich pies (e.g., marinara or la busta). My omnivorous friends also rave about the capricciosa (with prosciutto and artichokes) and the salsiccia (with Italian sweet sausage). The remains of one of Sac’s coal oven pies. For pizza by the slice or a very decent basic pie with a nice, sharp sauce, Sac’s Place is still the best bet in Astoria. Their coal-burning oven makes some great pizza (my recommendation: the plain slice or the grandma slice, though the latter is more a variant of a plain slice, rather than the more typical, thin Sicilian style), and their cozy dining room (with a working fireplace) has sheltered Astorians on chilly evenings for nearly two decades. I also have a soft spot for Lorusso’s Pizza and Focaccia, run by a family from Bari (in southern Italy). When it’s fresh from the oven, their traditional focaccia—slices of tomato, sea salt, and olive oil atop soft, but crisp-edged bread—is a wonderful treat. 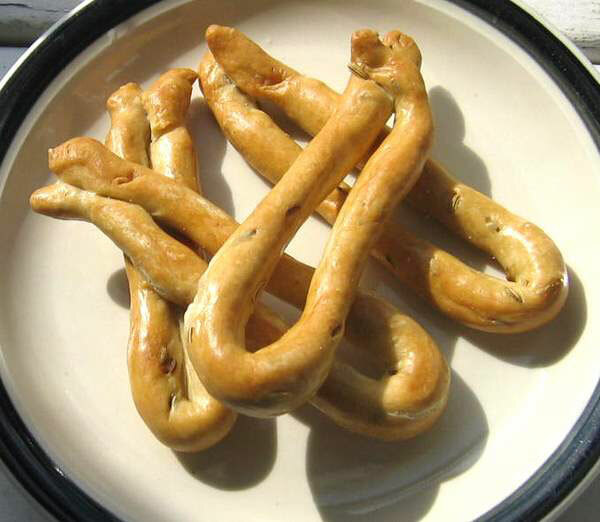 Fennel taralli from Lorusso. Photo credit: Anne Noyes Saini via City Spoonful. Lorusso’s homemade pesto sauce (in the front refrigerator case) and house-baked fennel taralli (sold in bags near the front counter) are also excellent. If you’re craving something sweet, the tiramisu—made in small batches by a friend of the owner—is incredibly light, intensely rummy, and just sweet enough. La Guli’s Easter bread. Photo credit: La Guli Bakery. At La Guli Pastry Shop, opened in 1937 by the current owner’s grandfather, everything is made in-house—from their gelato and Italian ices to their beautifully wrought marzipan and their huge selection of cookies and pastries. 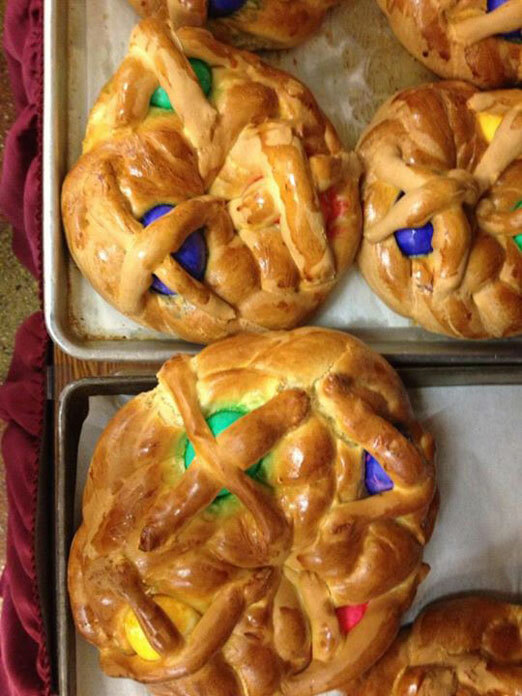 La Guli is also famous for their festive Easter treats (available starting on Good Friday), including house-made chocolate figures, traditional Italian Easter bread, and a small army of holiday-themed cakes and cupcakes fashioned to look like Easter eggs, baskets, bunnies, and lambs. 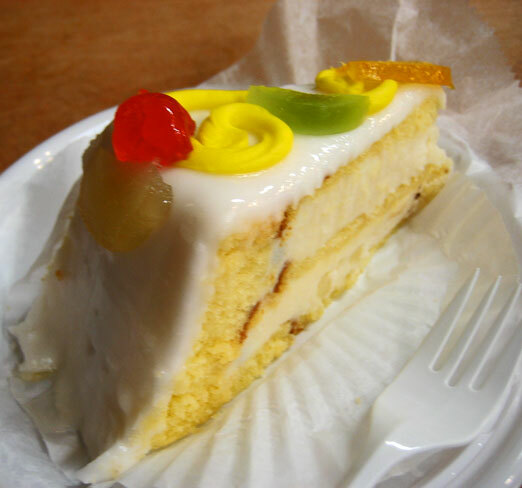 Sicilian cassata cake from La Guli. Photo credit: Anne Noyes Saini. On a recent visit to La Guli, I especially enjoyed the cuccidati, fig-stuffed cookies with mild orange-y undertones, and their sweet, rich Sicilian cassata, layered with dense cannoli cream and topped with candied fruit. If you’re looking for bread and savory baked goods, Rose & Joe’s Italian Bakery and Gian Piero Bakery are both good options. Gian Piero is famous for its pane de casa, a rustic loaf that’s crusty outside and soft within. 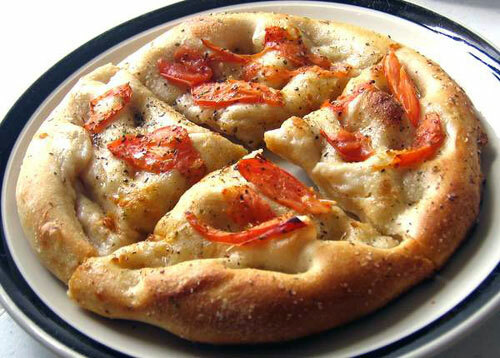 Rose & Joe’s use their dough to bake a variety of breads (notably, those stuffed with olives or sausage) and a small selection of Sicilian-style pizzas (sold by the square slice at the back counter). 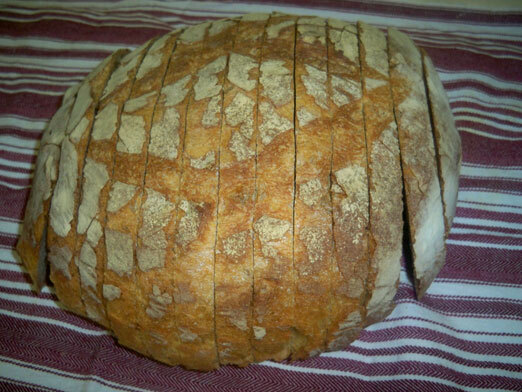 The popular pane de casa bread from Gian Piero. These two bakeries also offer some notable sweets. Gian Piero makes an excellent ricotta-based Italian cheesecake seasoned with lemon zest, and their cinnamon-spiked cappuccino is the perfect way to start a lazy weekend morning. Rose & Joe’s cannolis (freshly filled when you buy them) are arguably the best in the neighborhood, and their sfinge (a.k.a. zeppole—doughnut like pastries stuffed with ricotta or custard—eaten for the Feast of St. Joseph, in mid-March) come highly recommended. Rosario’s Deli is justifiably famous for its huge selection of imported and house-made Italian goods—especially their fresh mozzarella, which is regarded by many as the best in the neighborhood. 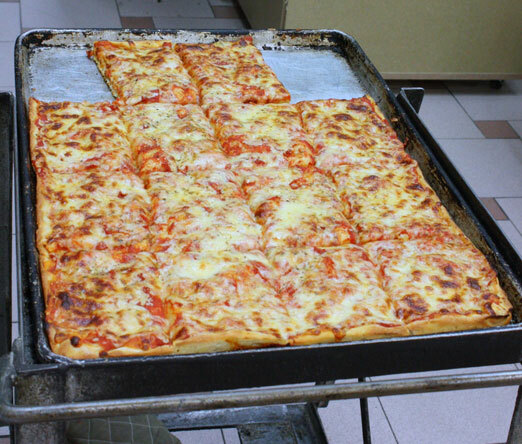 That mozzarella has a starring role in Rosario’s other famous offering: its “killer” pizza slice. The housemade sopressata at Sorisso’s. 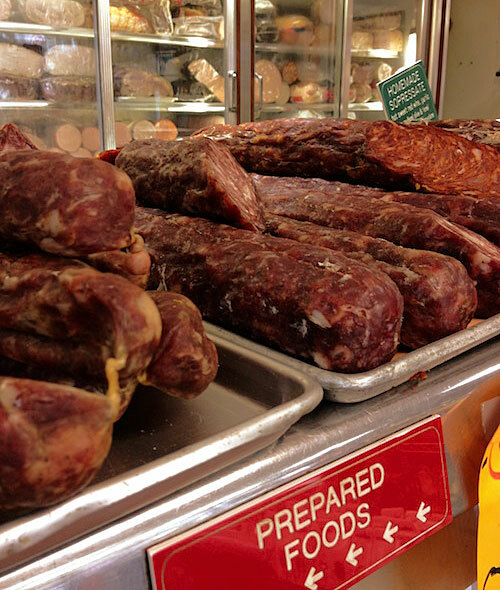 Also beloved among Italian foodies in Astoria, Sorriso Italian Salumeria sells excellent house-made smoked mozzarella, cured meats, like soppresatta (a dry Italian salami), and a huge variety of fresh sausages. Sorriso’s in-house pasta-making operation is on indefinite hiatus, but their homemade pasta sauces are still available. These days, the best bet for fresh pasta in Astoria is Cassinelli Food Products, which has been a fixture in the neighborhood since the 1940s. (At that time, it was only one of many pasta-makers in the neighborhood.) My expert sources swear by Cassinelli’s cavatelli and gnocchi, but generally avoid the less stellar ravioli and other filled pastas. Dave & Tony’s Salumeria Deli, another Astoria deli stocked with Italian imports and other specialty goods, stands out for its incredibly friendly, efficient service. Their hero sandwiches and other fixings (especially the sundried tomatoes soaked in olive oil) draw rave reviews from locals and even the likes of celebrity chef Lidia Bastianich.